Different from previous researches weighted toward historical description and individual writer and work, this book establishes a general analytical system and a multi-angled methodology to examine Chinese literature. The author Yuan Xingpei is a professor of Peking University, a famous expert on Chinese classic literature. 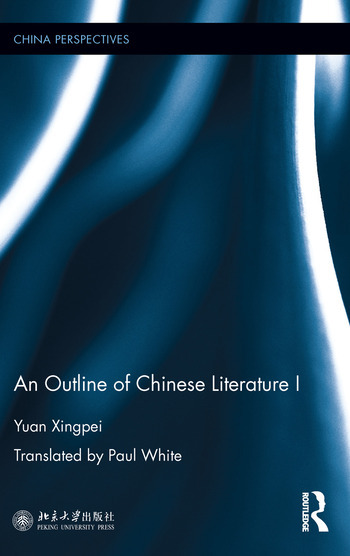 Based on his own appreciation as a reader and years of study, the author expounds on every aspect of Chinese literature: characteristics, time periods, regional nature, categories, allure, transmission, appreciation, etc. It's worth mentioning that the book is written from an individual perspective. The author expresses the depth of his various related impressions on Chinese literature in the book, in the hope that the readers can share the emotions. In addition, this book provides the readers with many fresh perspectives. For example, it regards poetry being the mainstream, "upholding goodness" "the spirit of optimism" and "the esthetics of conciseness" as the characteristics of Chinese literature, surpassing the popular academic concepts. This book will appeal to scholars and students of Chinese literature and comparative literature. People who are interested in Chinese literature and Chinese culture will also benefit from this book. Yuan Xingpei is a professor of Department of Chinese Language and Literature, Peking University. His research focuses on Chinese classic literature, especially Chinese poetical art.